Prof. Langer Jacquin teaches at the Bachelor and MBA levels at BSL. She works as an independent corporate advisor through her company ValueChange with both small and large companies in the B2B technology and services industries. Prof. Langer Jacquin was previously Managing Director of Europe, Middle East, Africa, and Russia region for Cisco’s Consulting Services business. She was responsible for the sale and delivery of all consulting projects, focused on linking business to technology to help large enterprises and public sector players digitally transform. 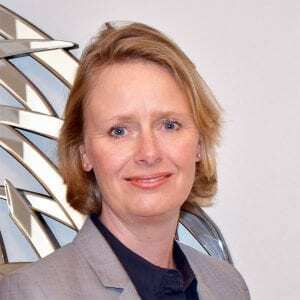 During her 15 years at Cisco, Prof. Langer Jacquin held various international management positions in sales, services, internal consulting, operations, and business development. Prior to working with Cisco, Prof. Langer Jacquin was with Mercer Management Consulting based in Munich and London. She started her career in international market research in Brussels. Prof. Langer Jacquin holds a triple Master’s degree in Management from ESCP Europe (Paris-Oxford-Berlin) as well as a Bachelor in Communication (Brussels). She is a Danish national based in Geneva, Switzerland with her French husband and two children. She speaks fluent Danish, English, French, as well as working level German and Dutch and has lived in nine countries so far.